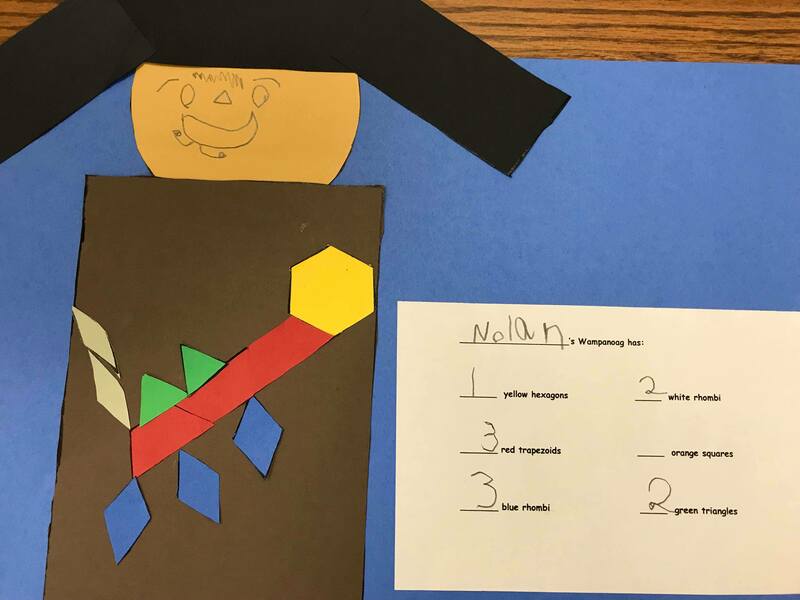 For math we’ve been learning about shapes and patterns. 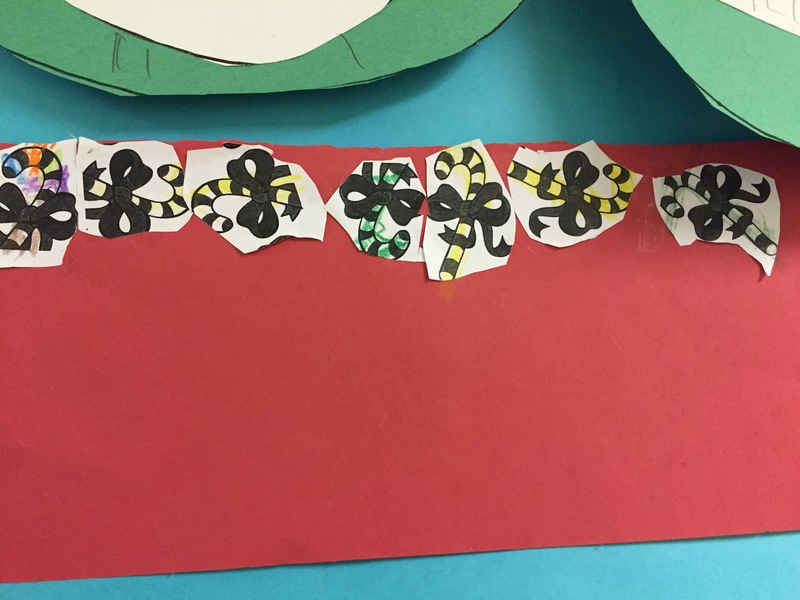 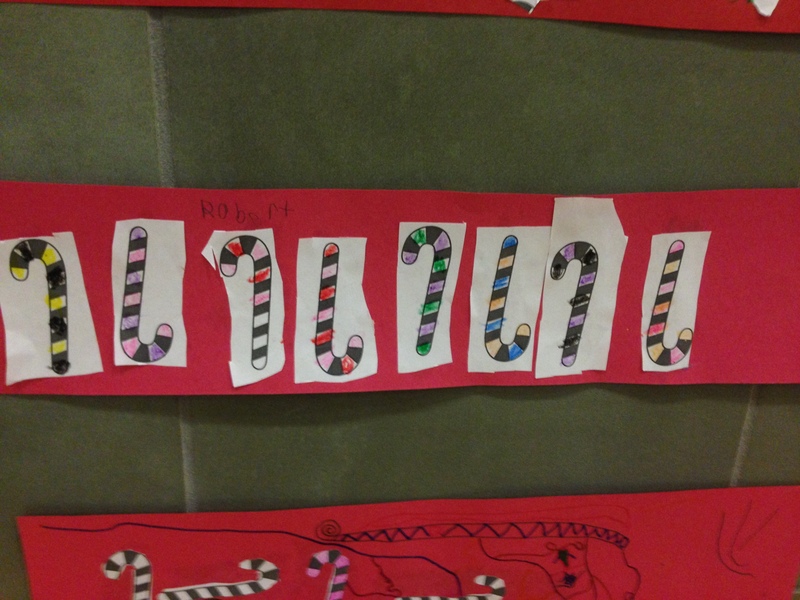 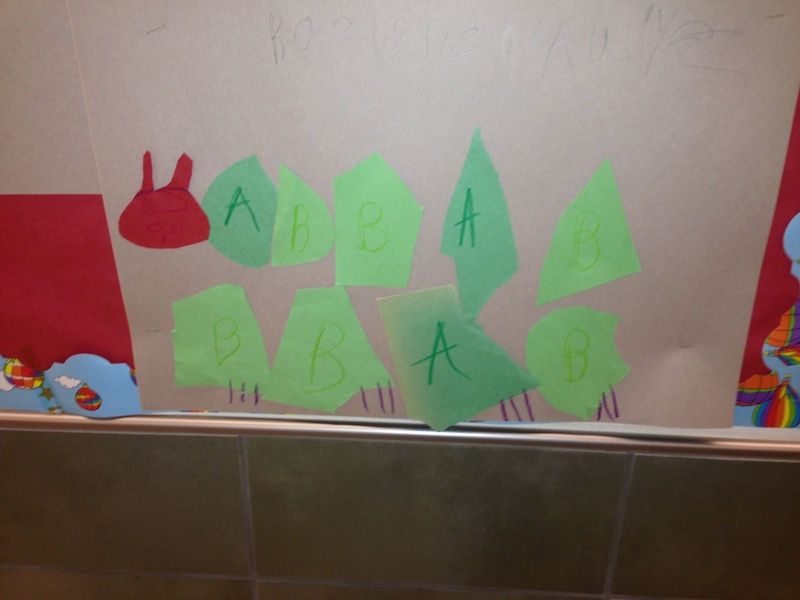 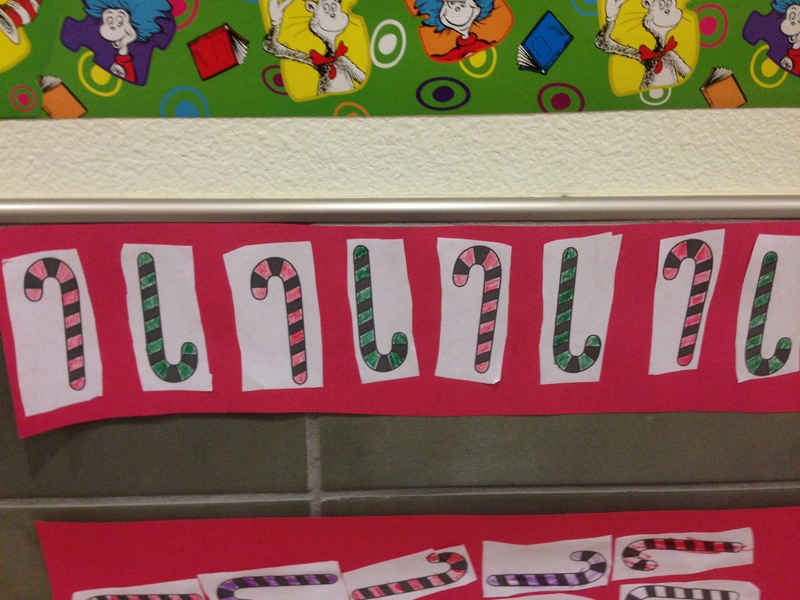 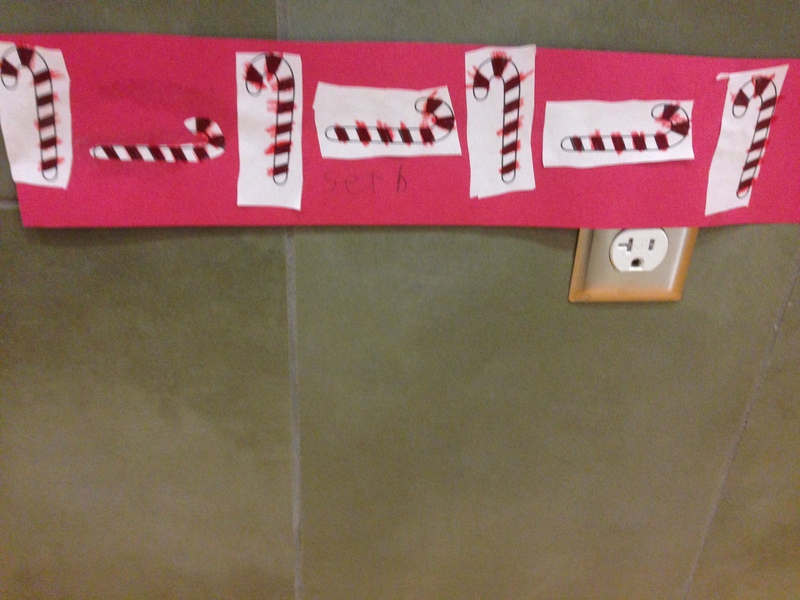 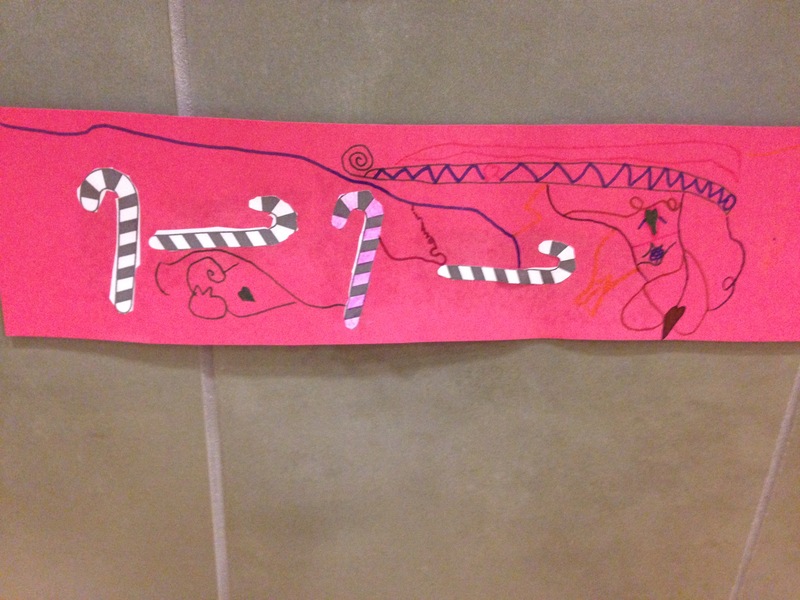 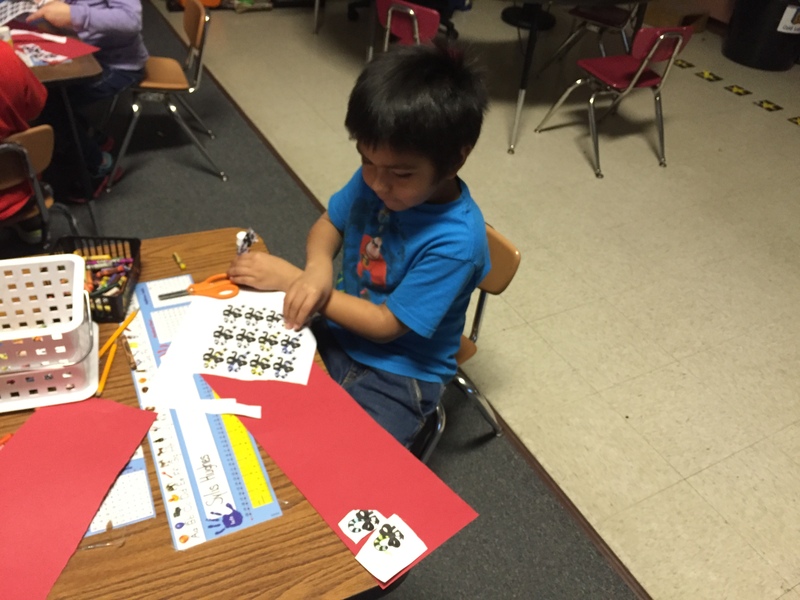 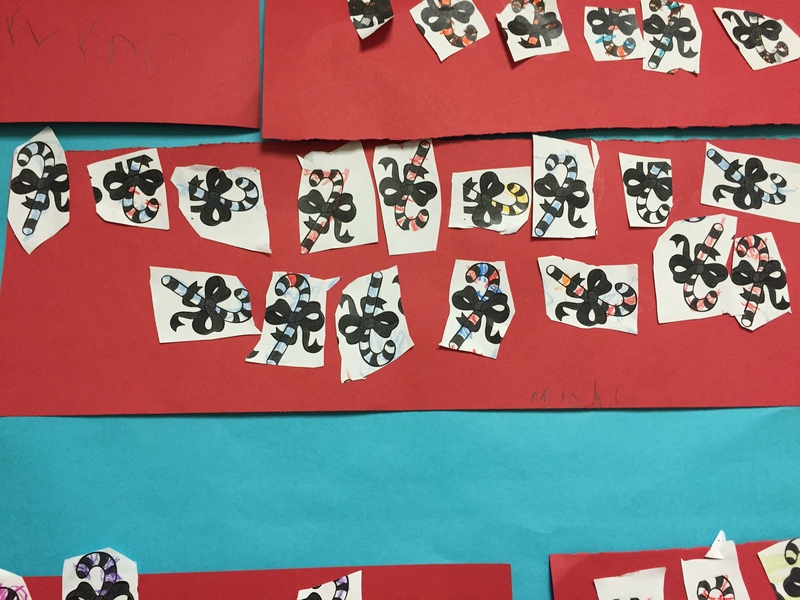 Students learned how to make shapes and positional patterns, then made their own patterns with candy cane pictures. 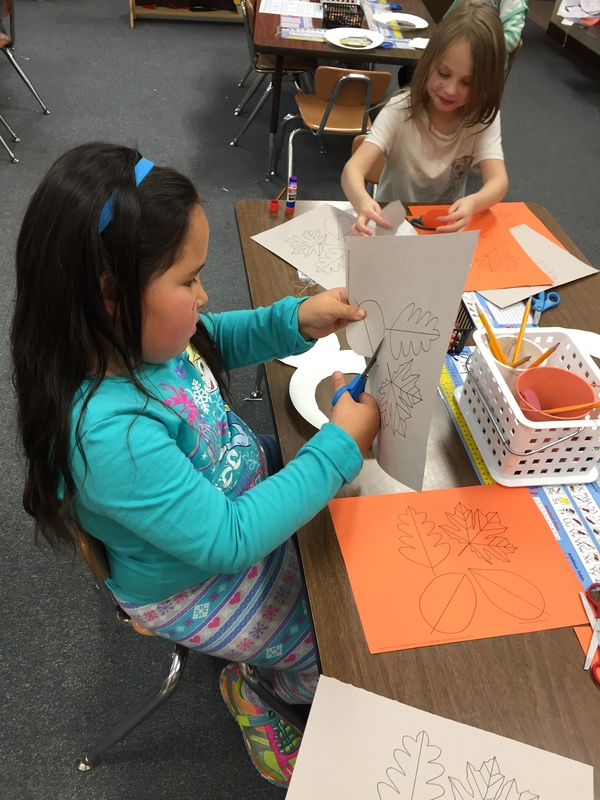 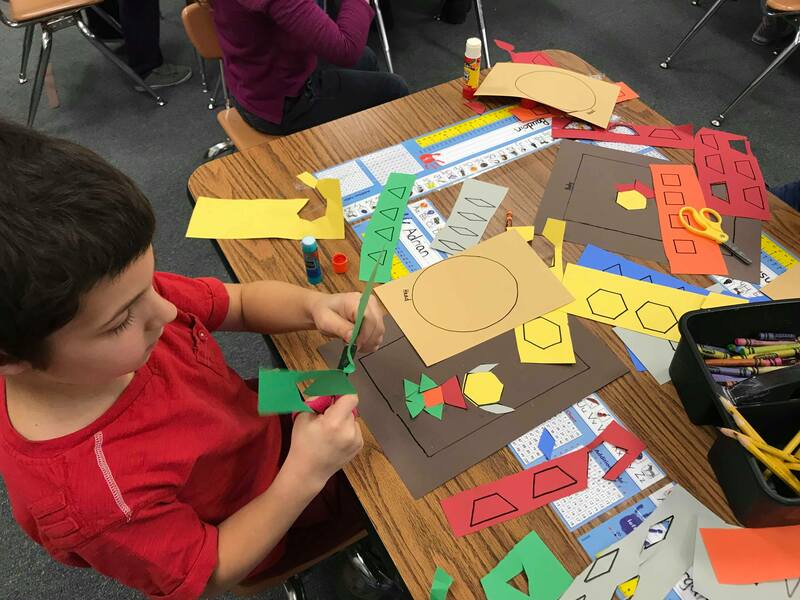 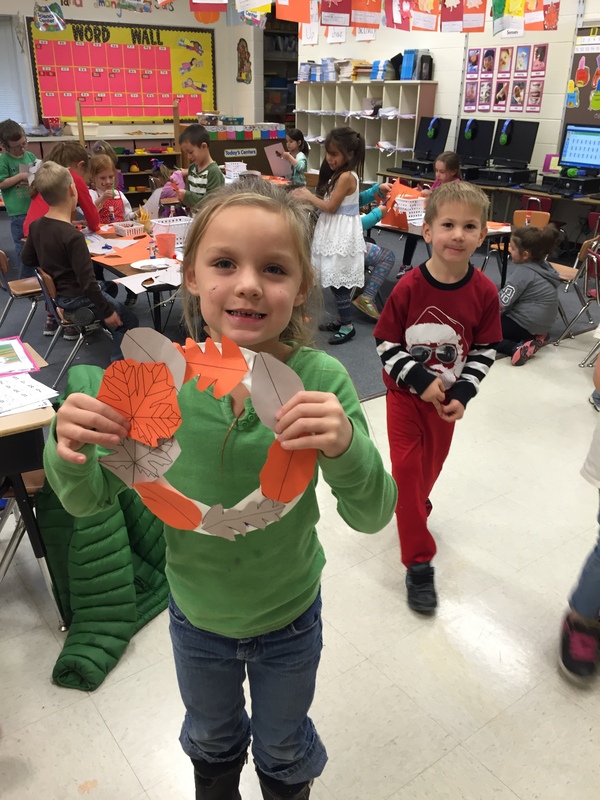 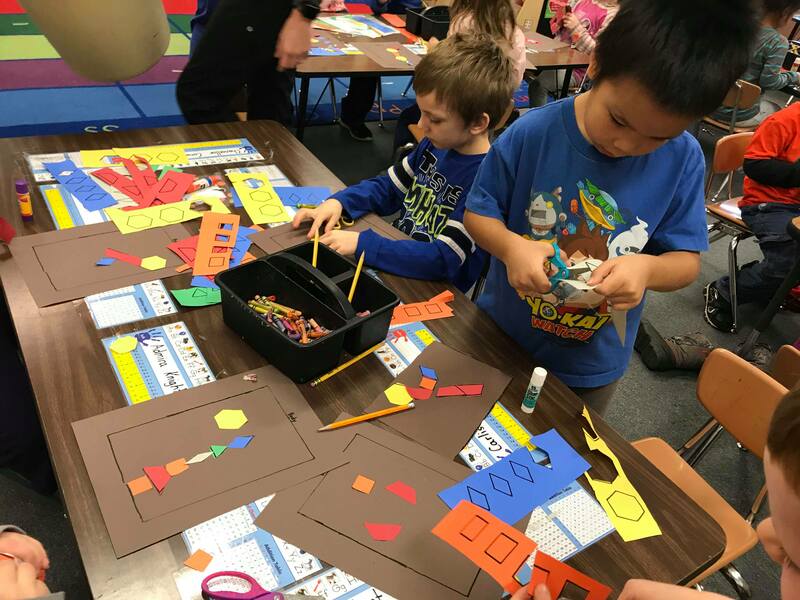 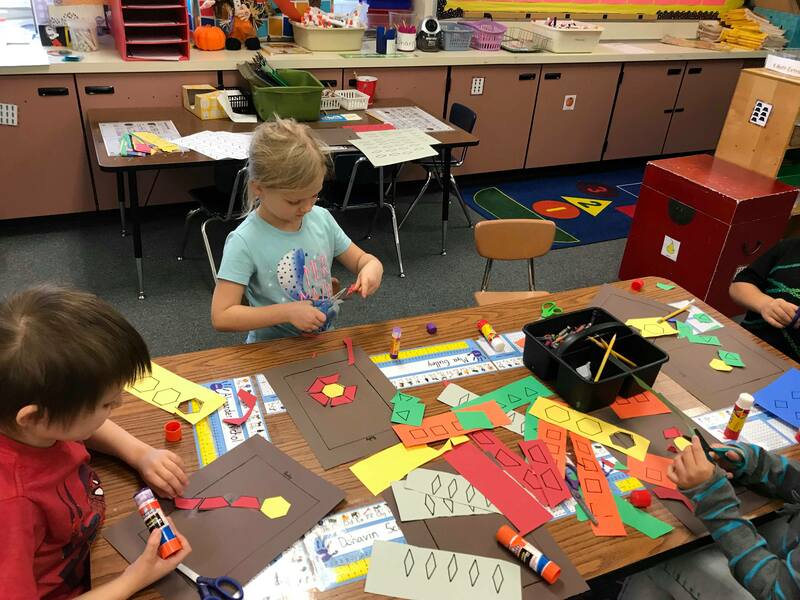 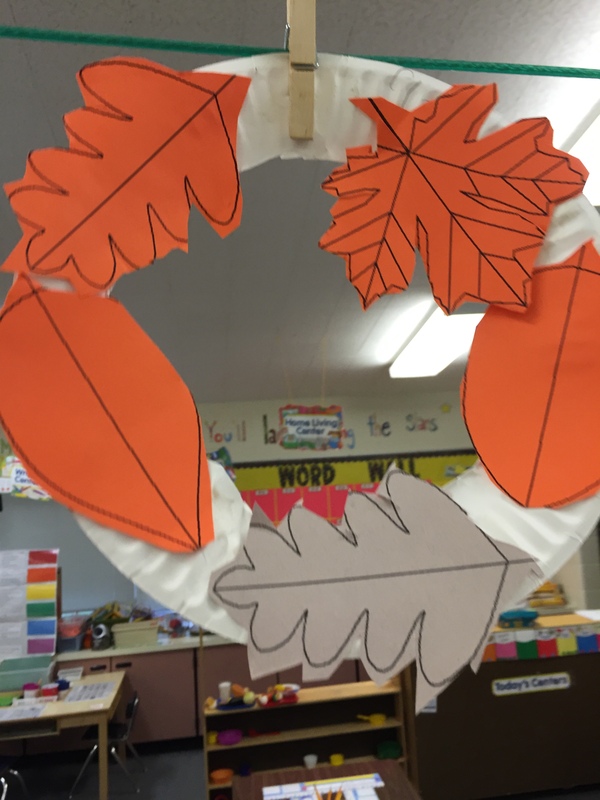 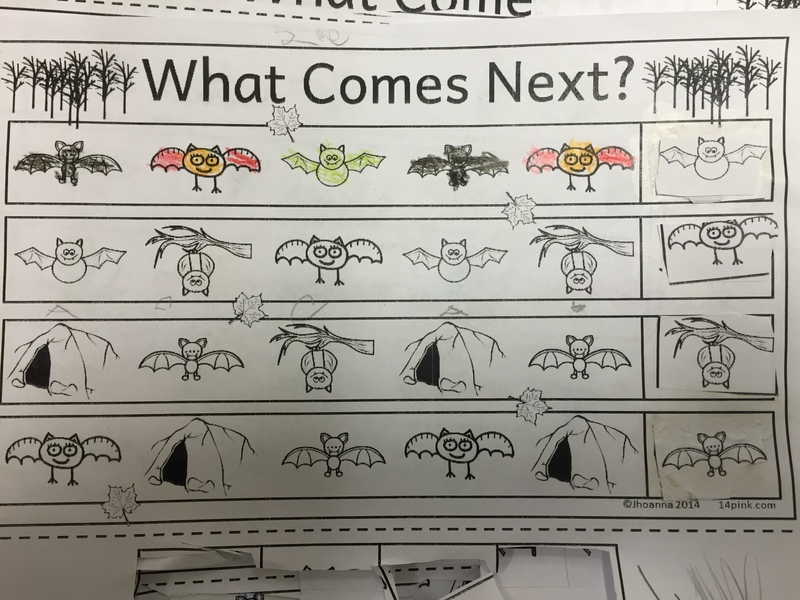 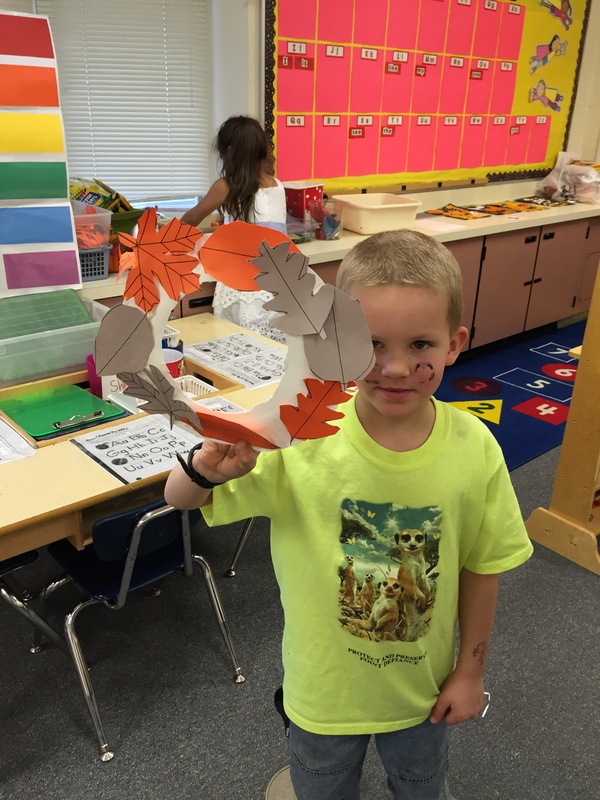 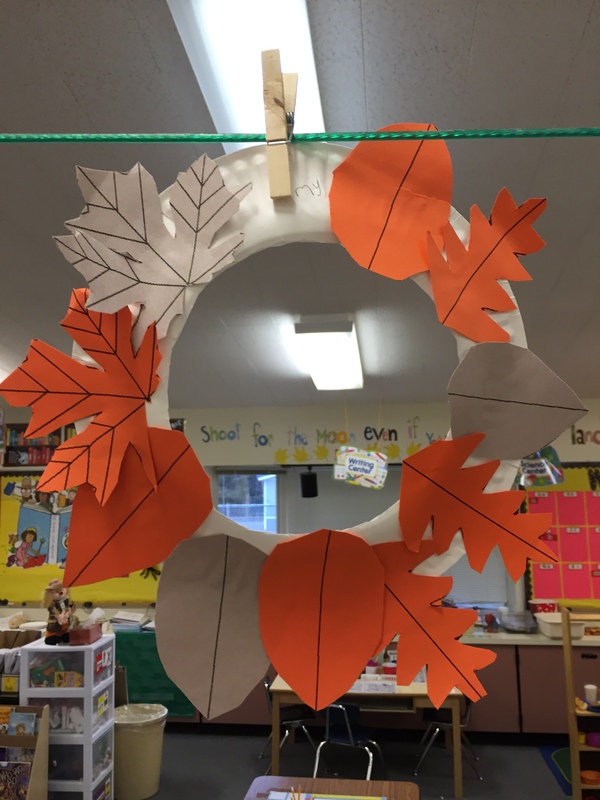 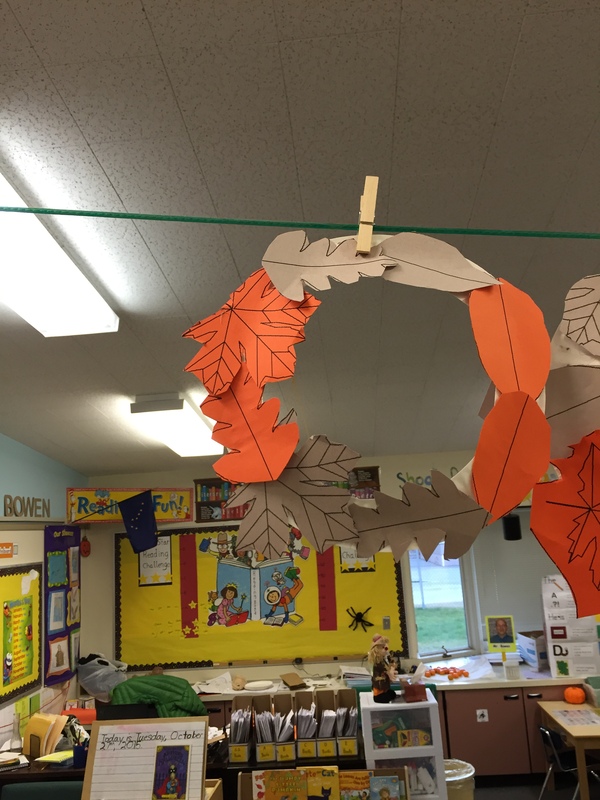 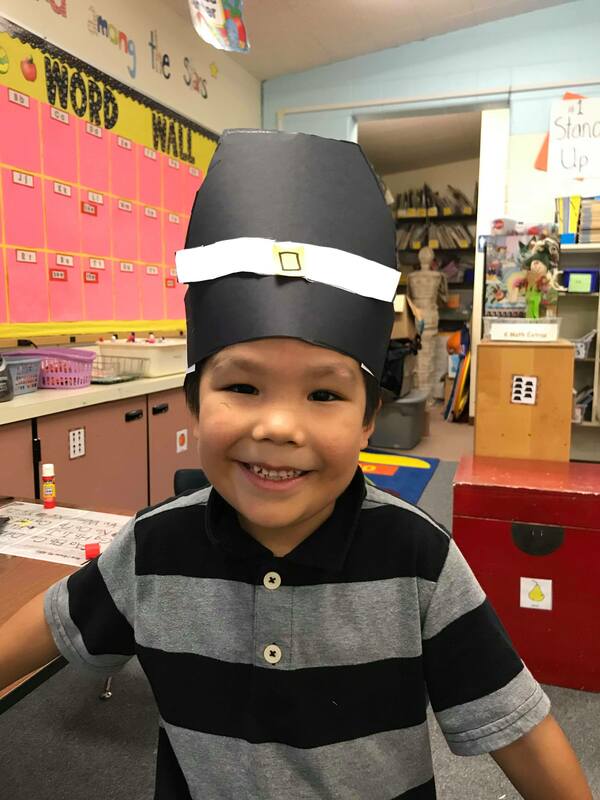 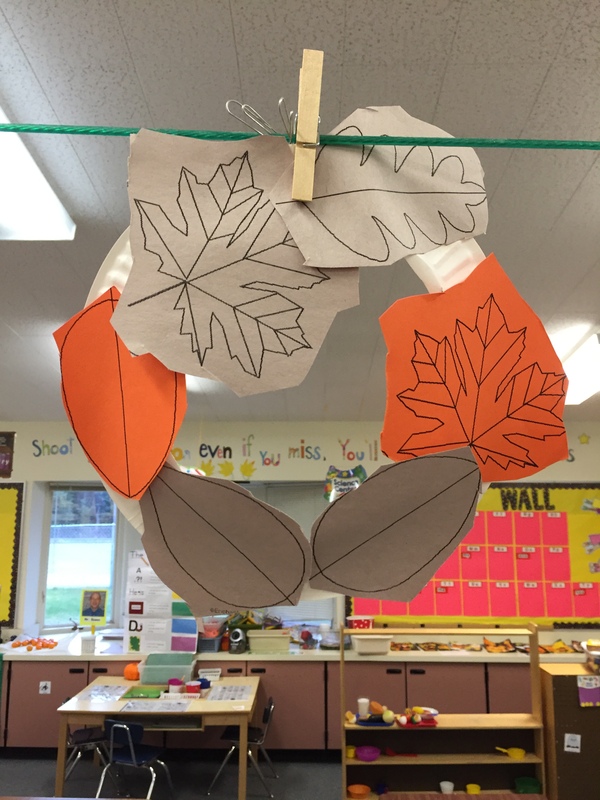 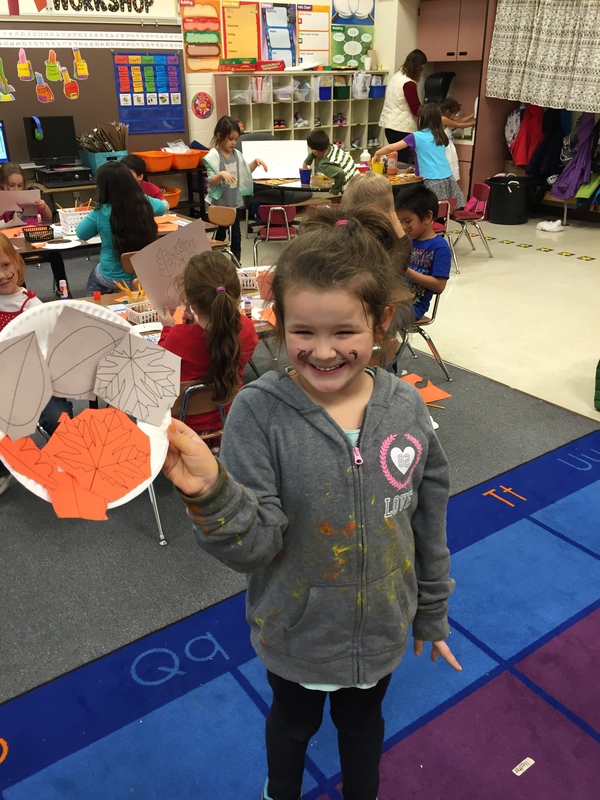 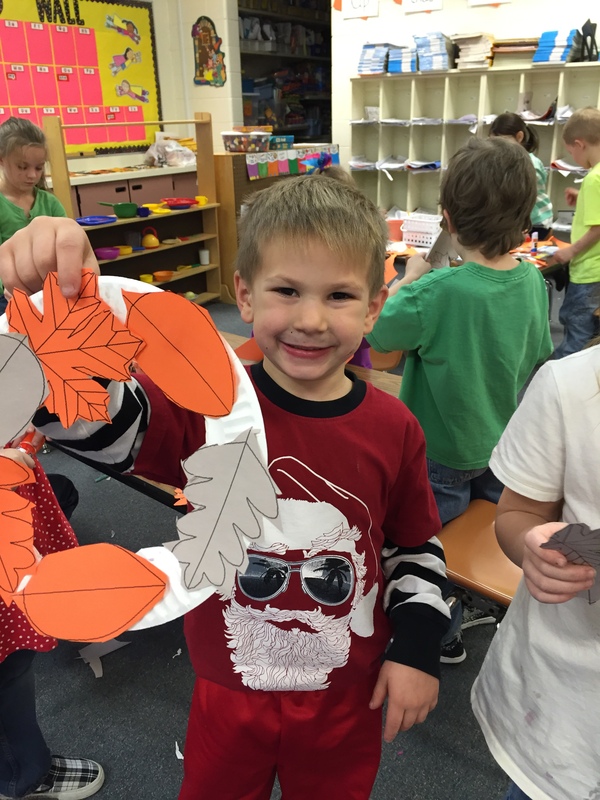 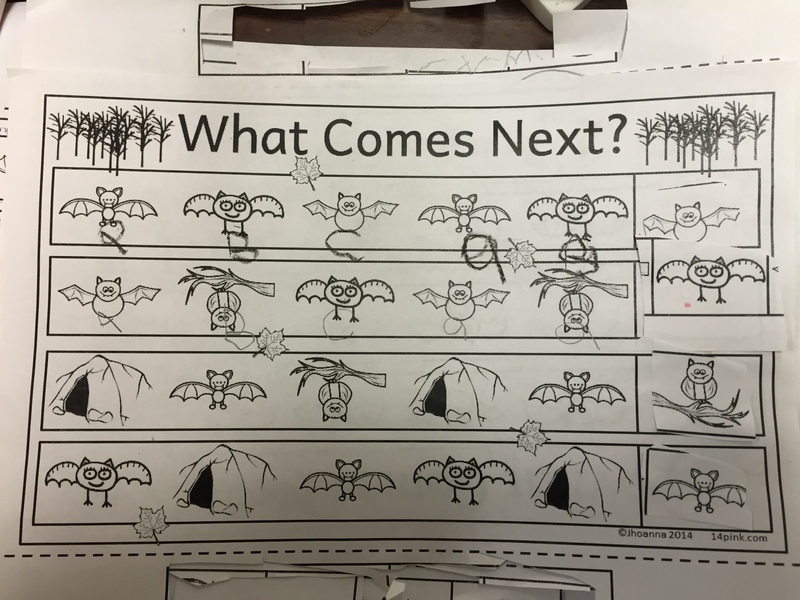 Last week we finished up a fun unit full of Thanksgiving activities. 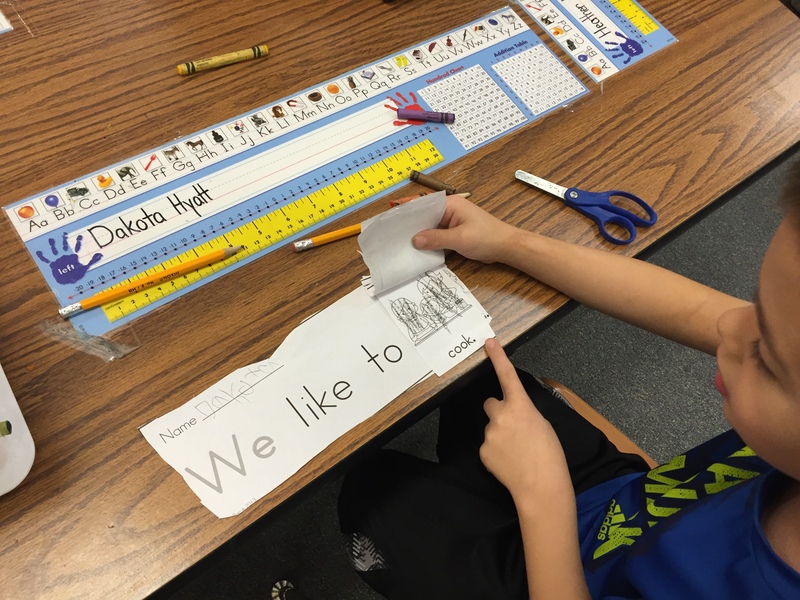 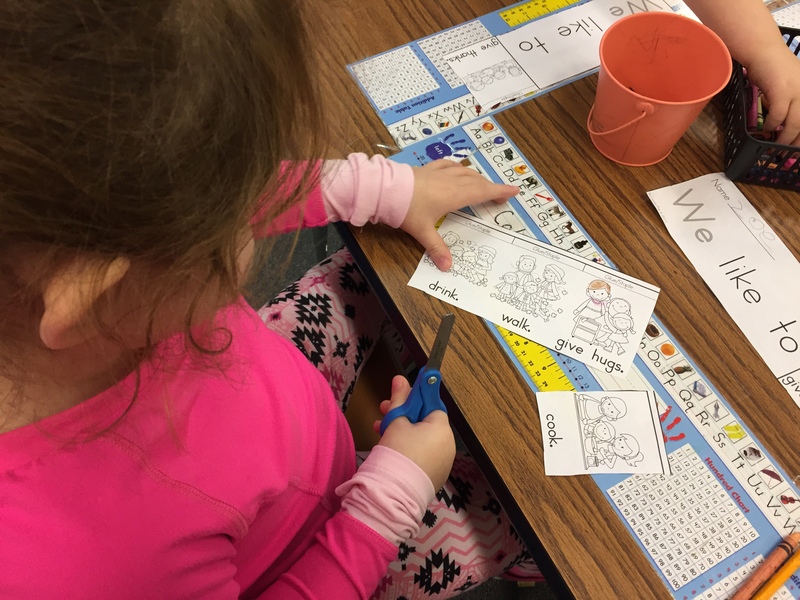 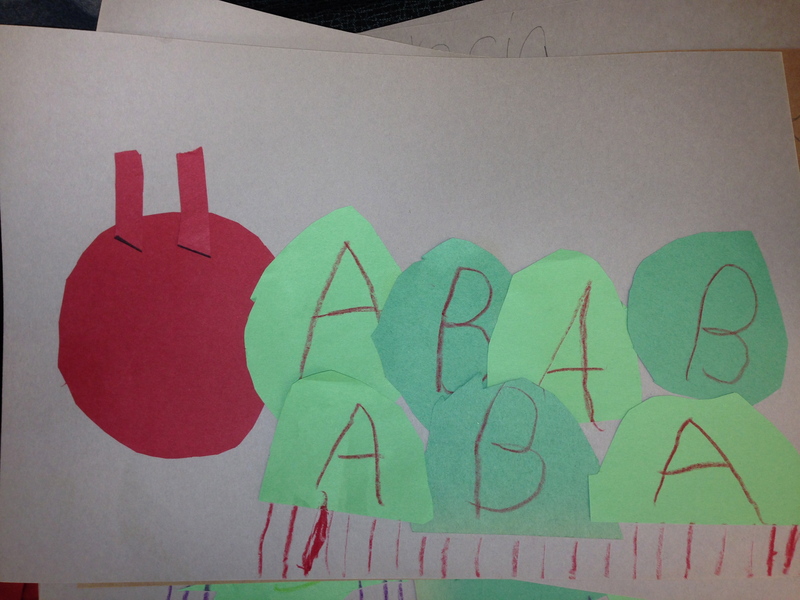 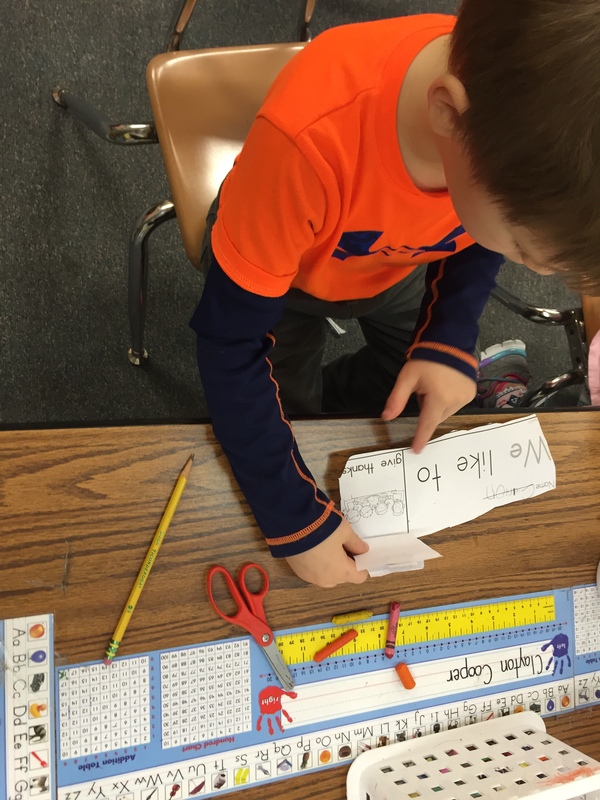 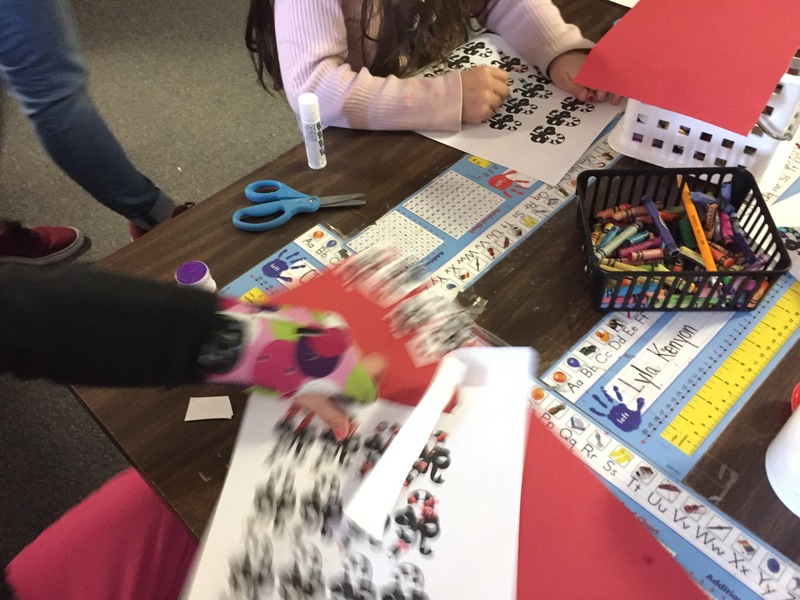 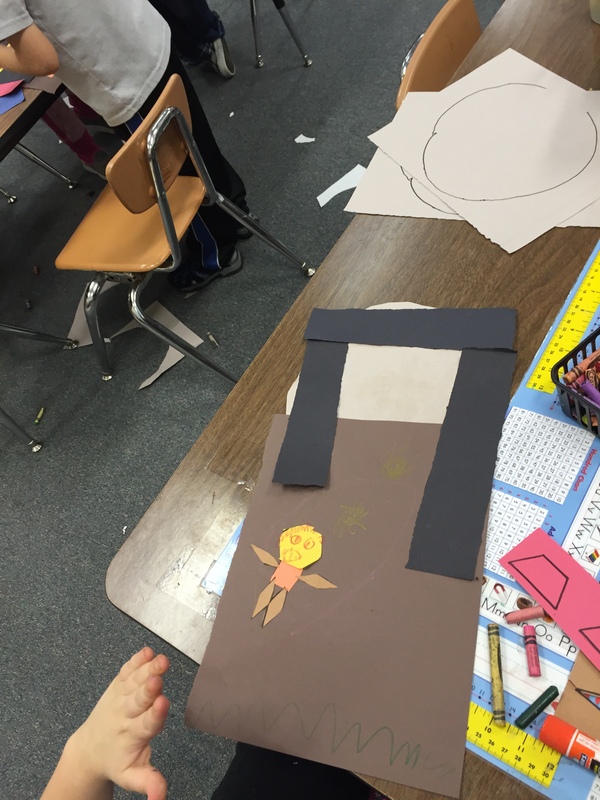 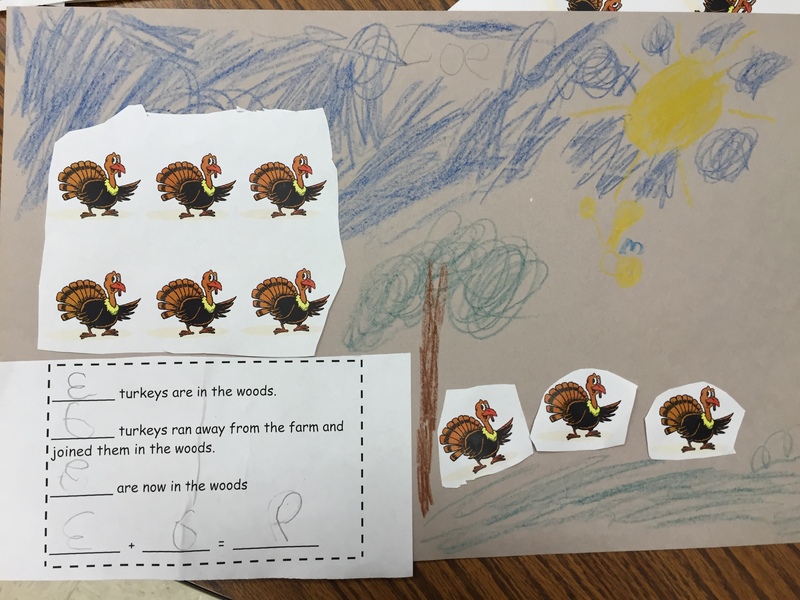 For our word work we created a flip book with repetitive sight words and things that you do on Thanksgiving. 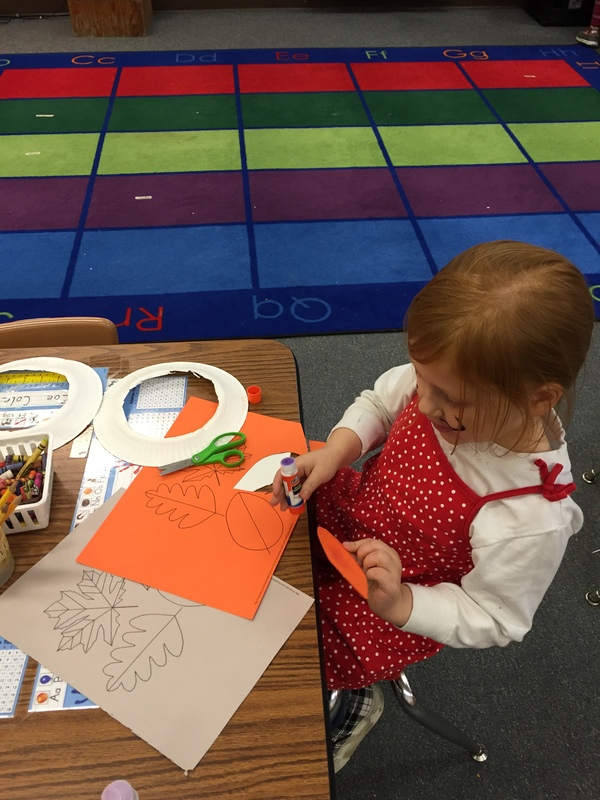 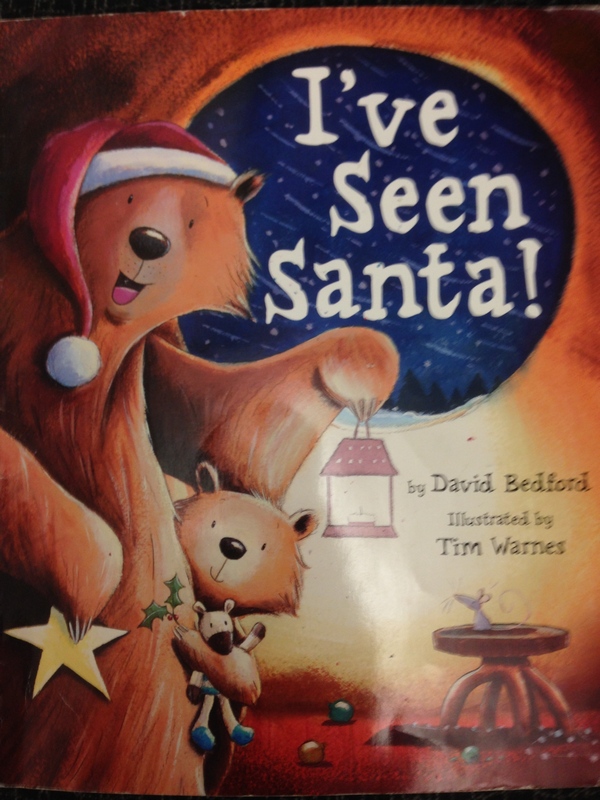 We also read Thanksgiving books on things that we like. 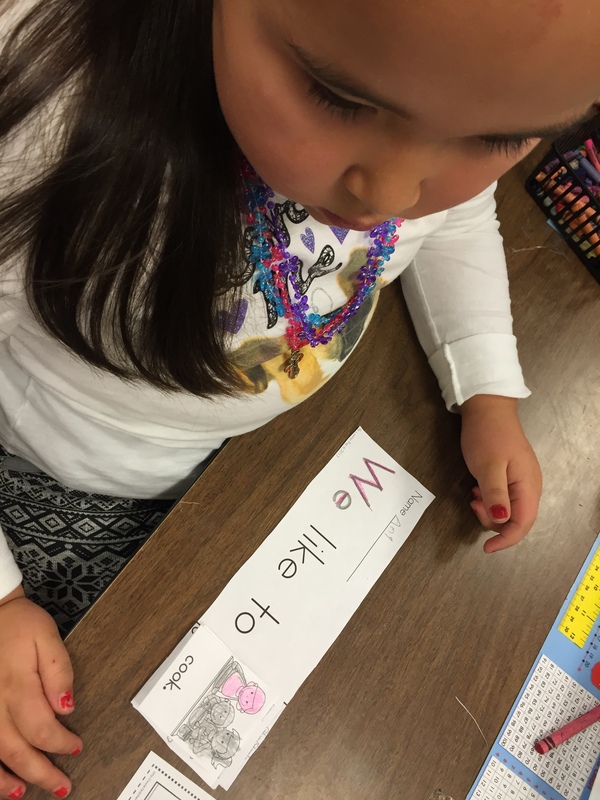 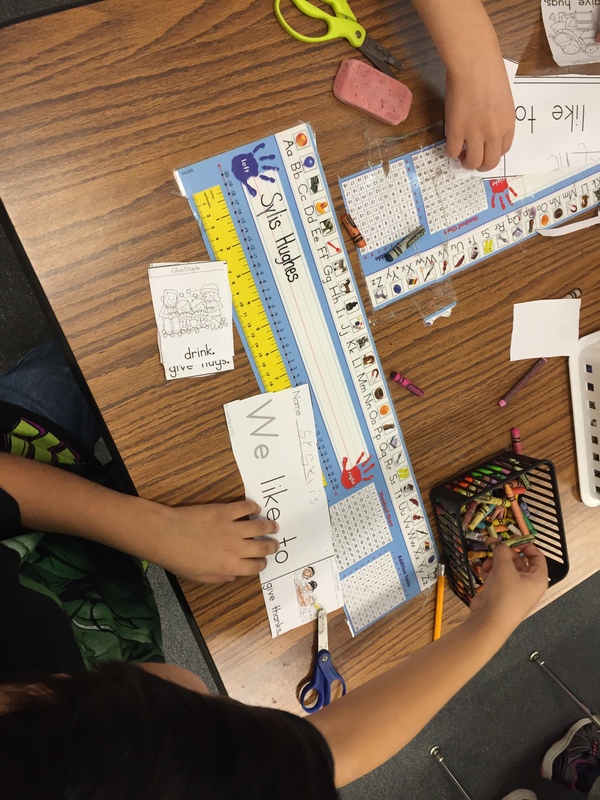 Then students used their knowledge of sight words to write sentences using the word ‘we’. 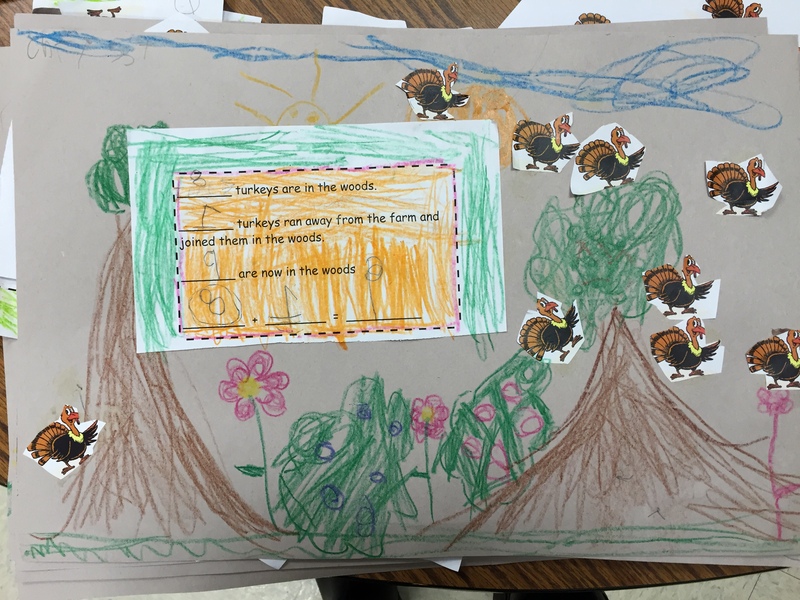 For math we read the story “The Great Turkey Race” discussed the problem and solution of the story. 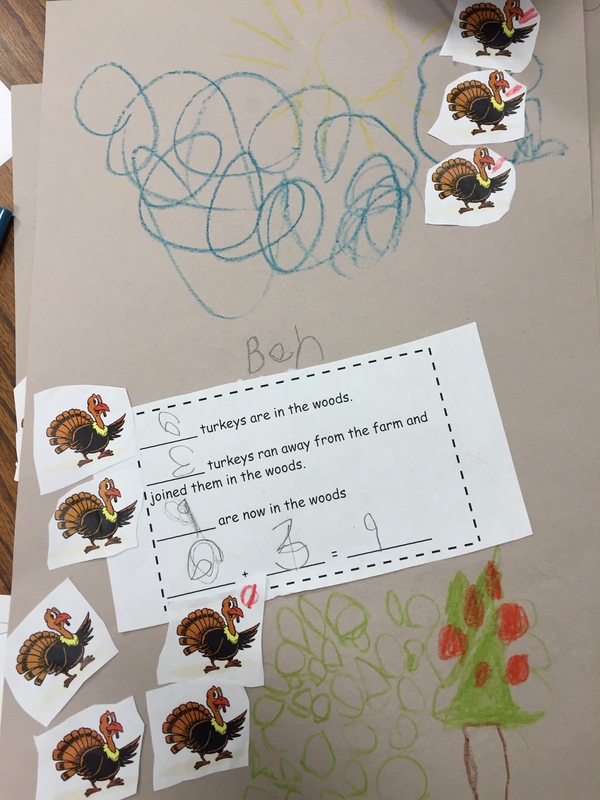 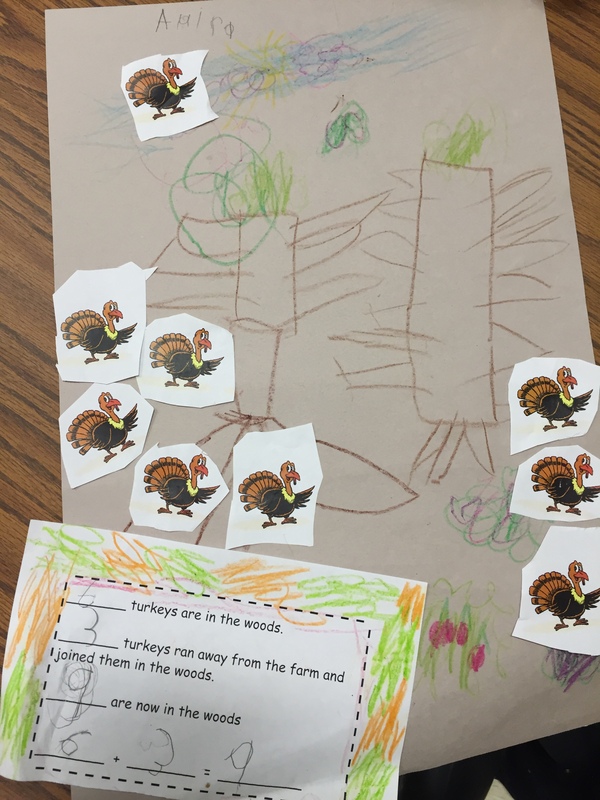 Then we created our own math story problems using addition and pictures of turkeys for the visual. 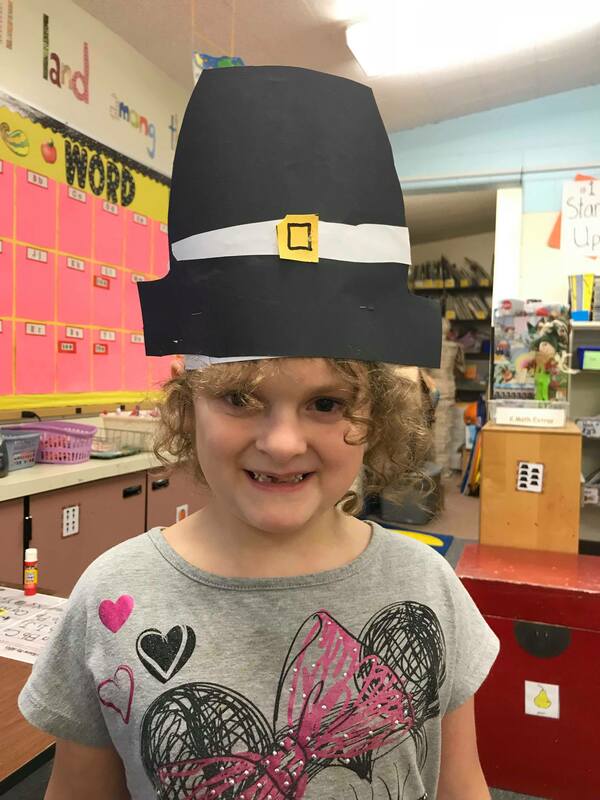 Finally we learned about the life of Pilgrims and Wampanoags on Scholastic.com’s First Thanksgiving website. 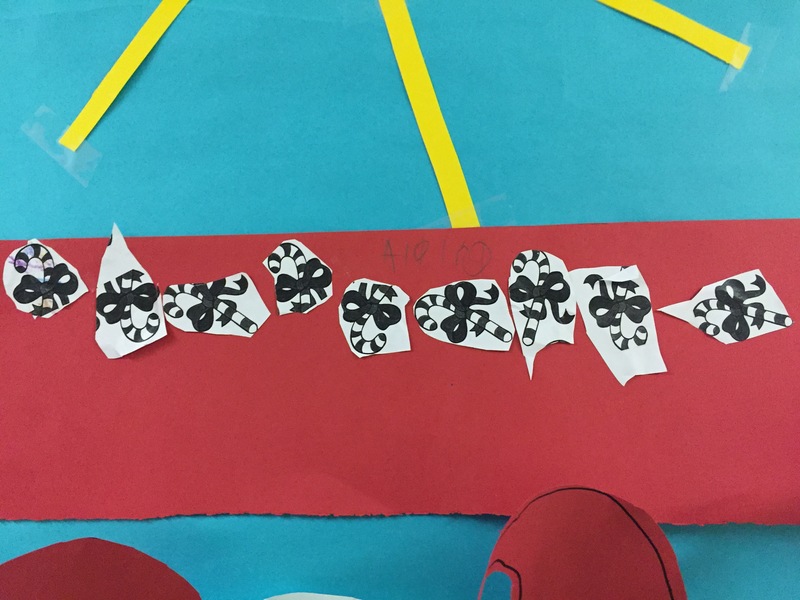 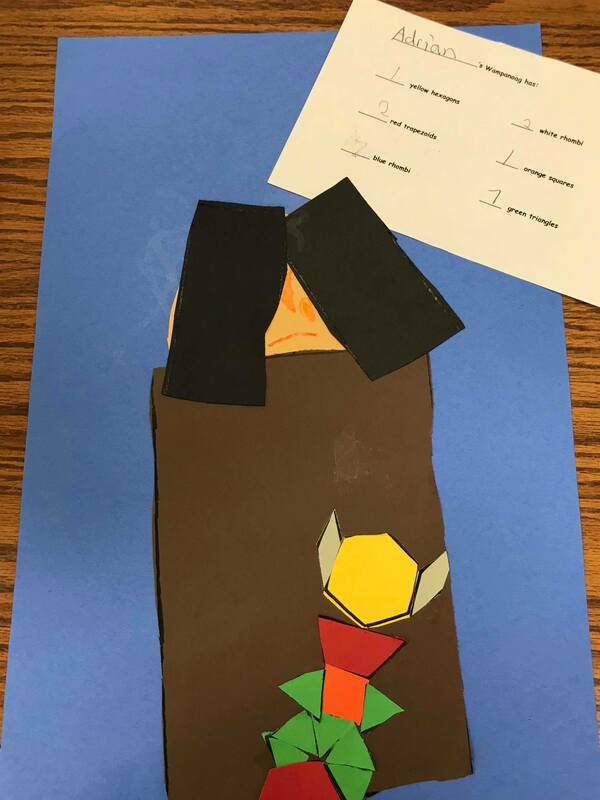 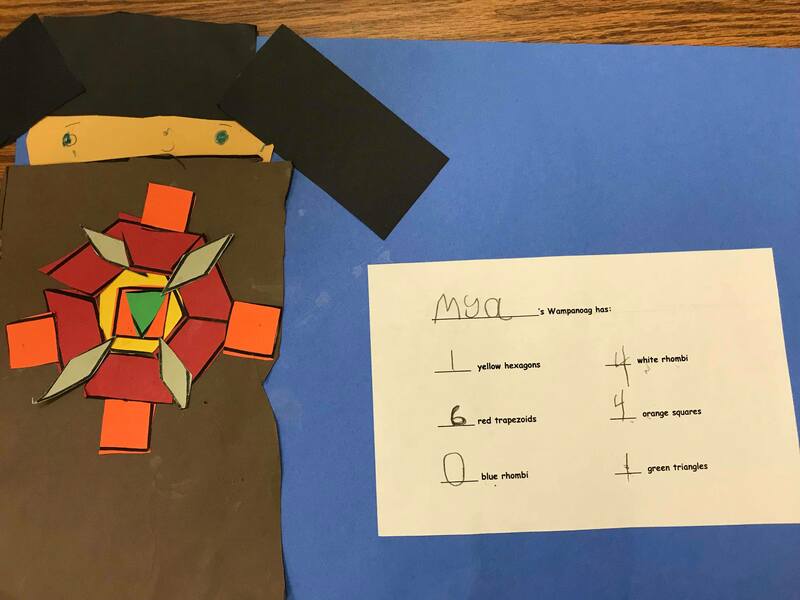 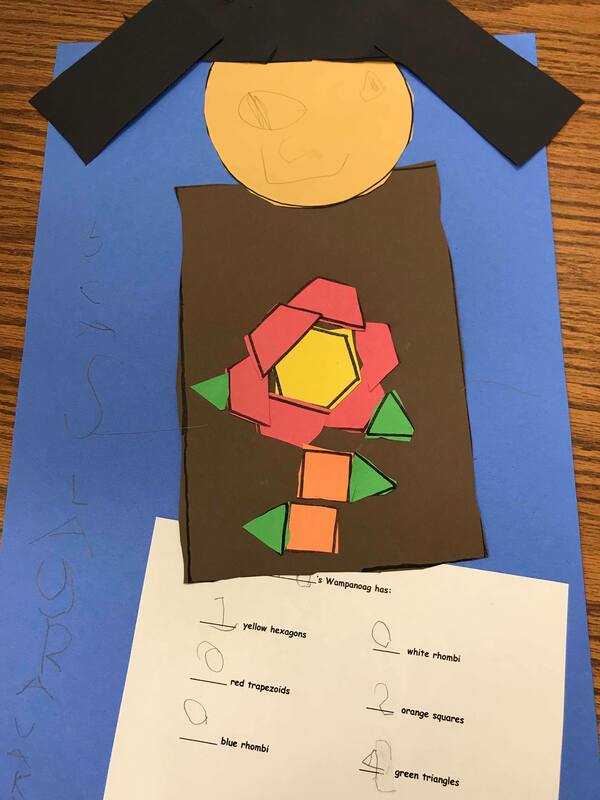 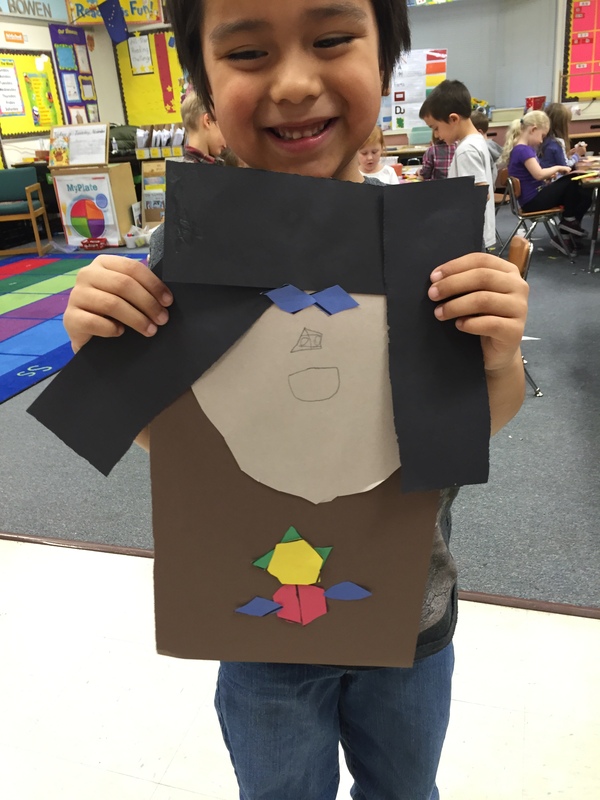 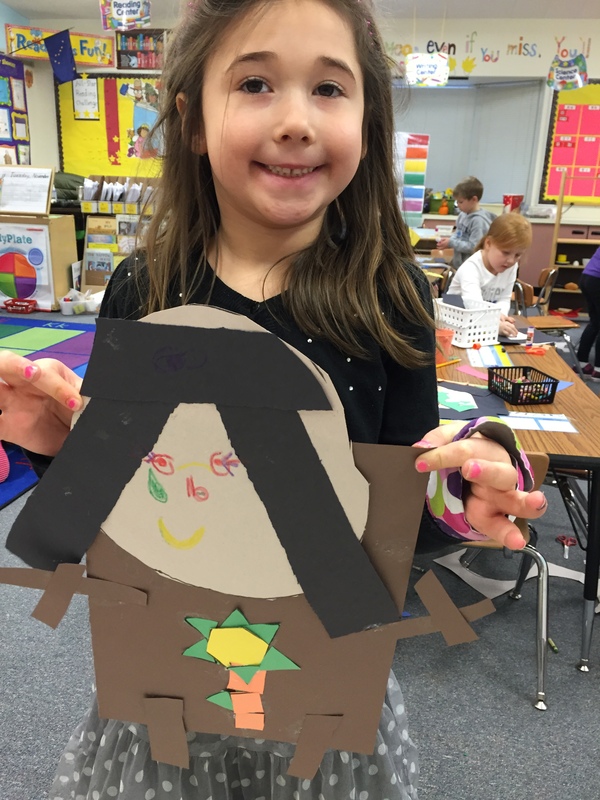 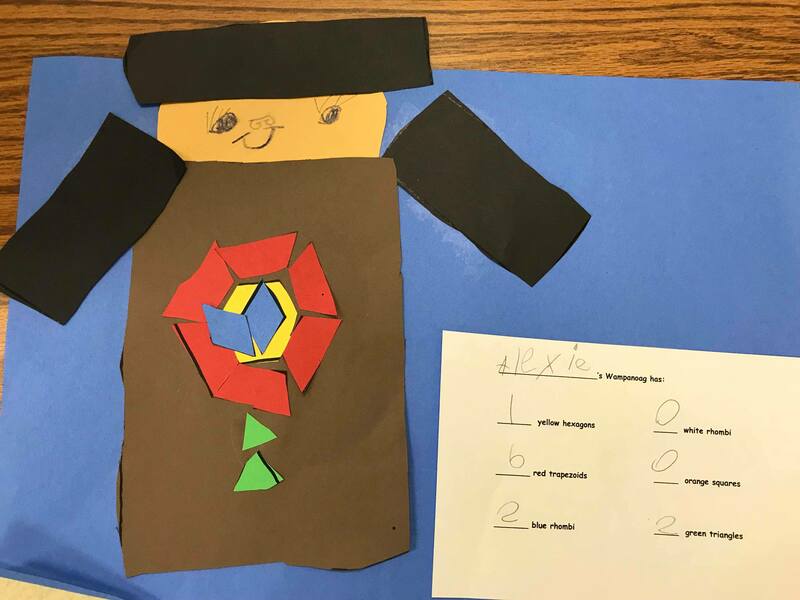 Students made designs on Wampanoags using pattern block cutouts. 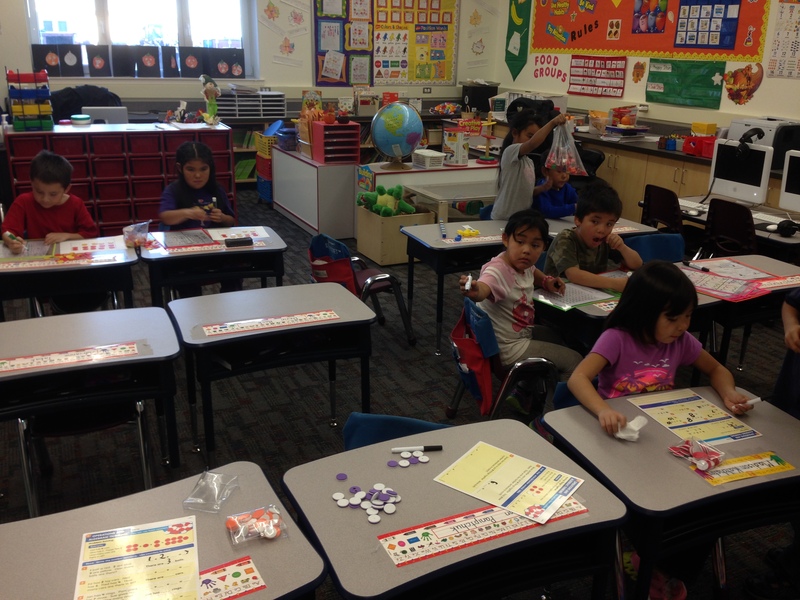 In the afternoon we have both reading workshop and math workshop. 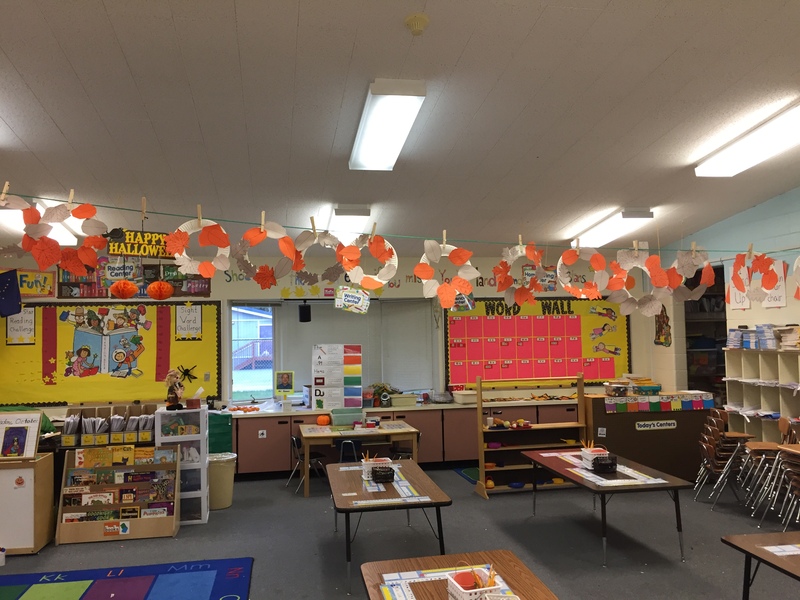 This is where our students work in multi-leveled groups on specific skills that have been previously taught or we’re just learning. 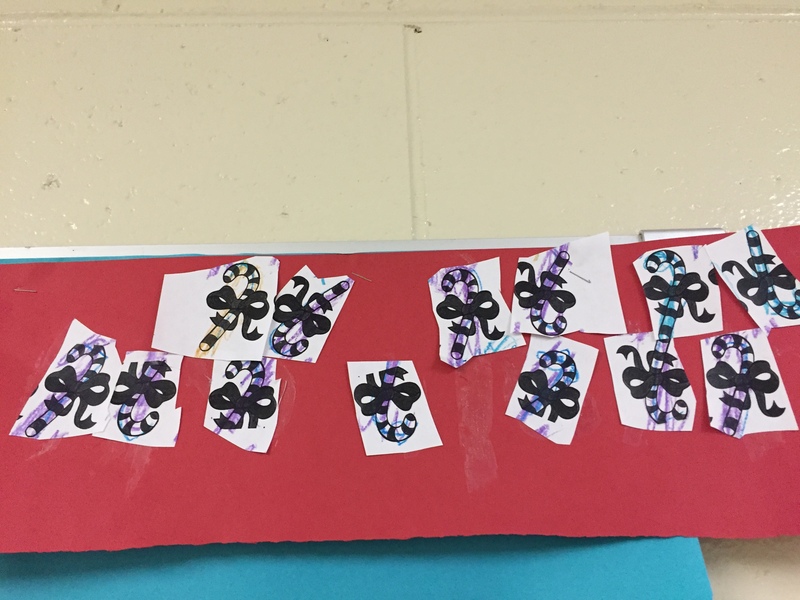 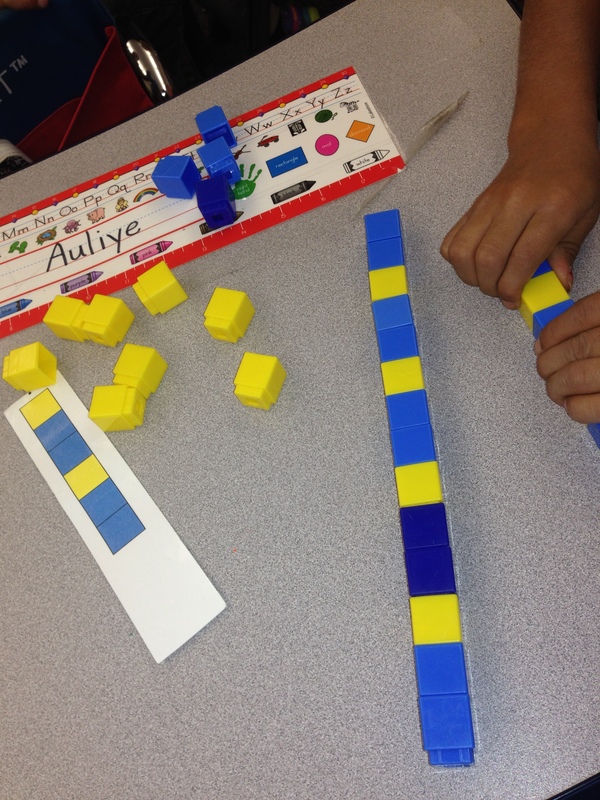 Currently in Kindergarten we’re working on patterns and numbers 0-100. 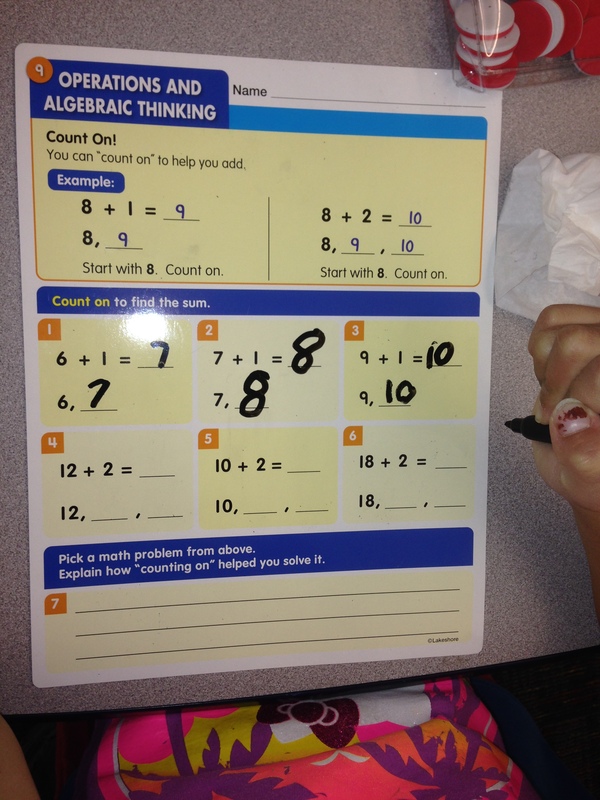 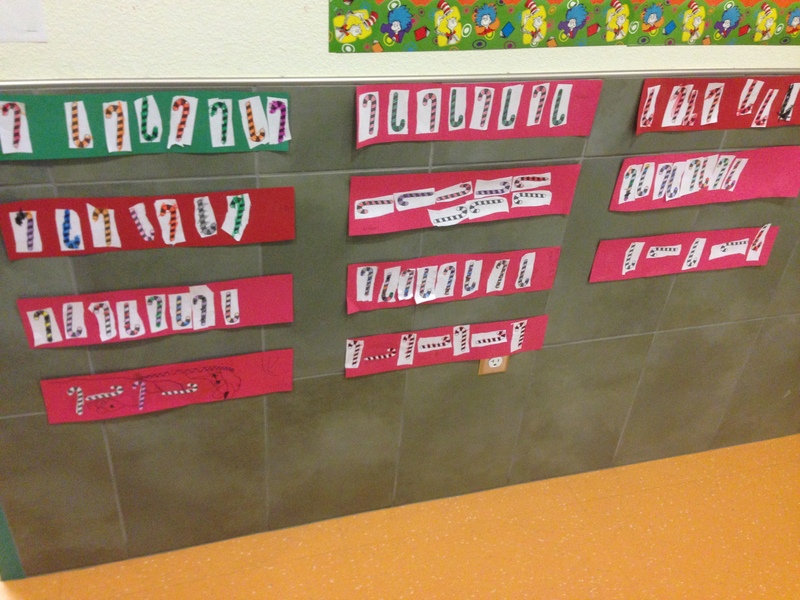 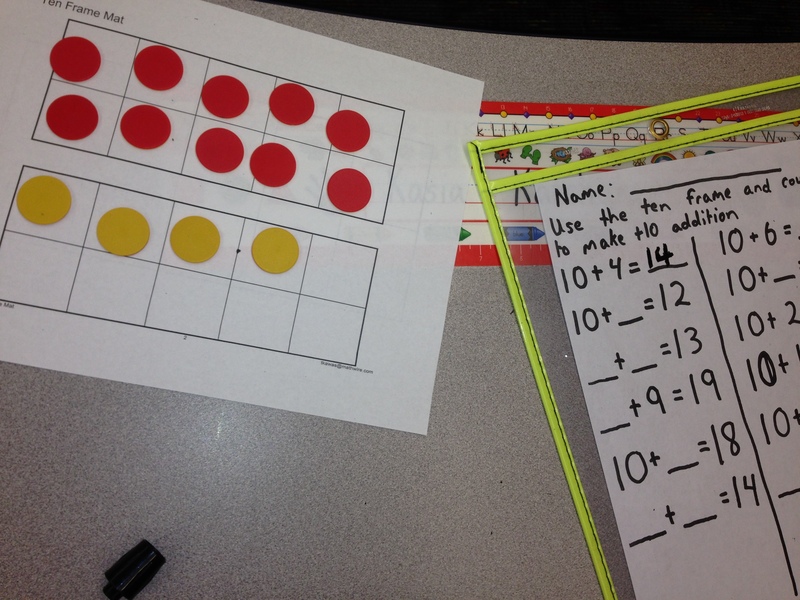 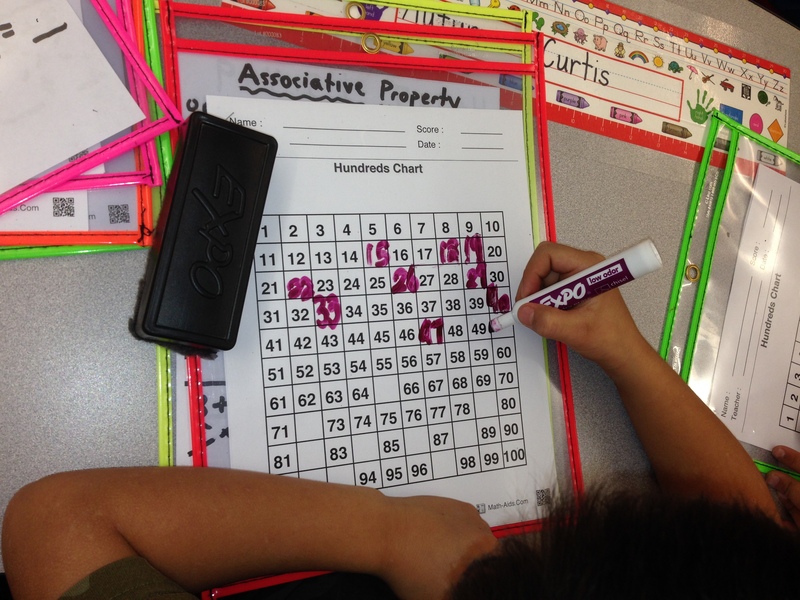 In 1st grade we’ve been learning about addition facts up to 12 and anchors of 10 in addition. 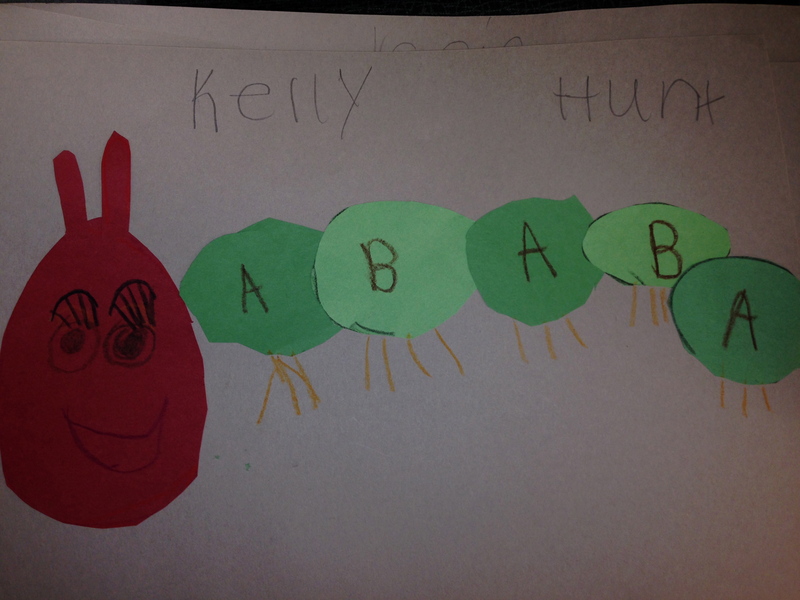 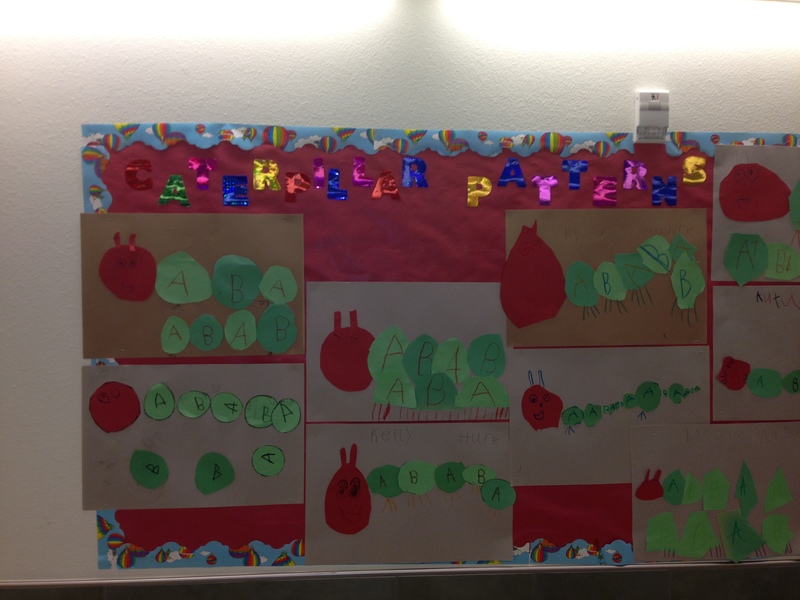 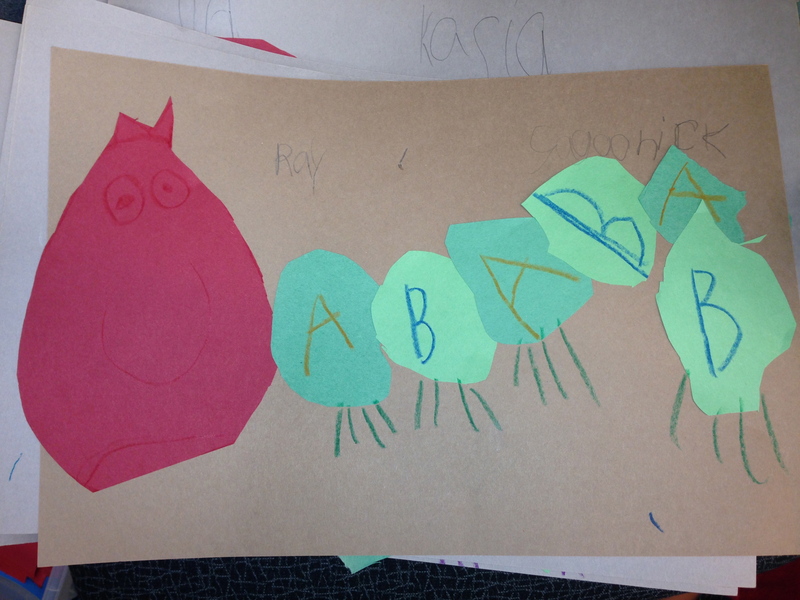 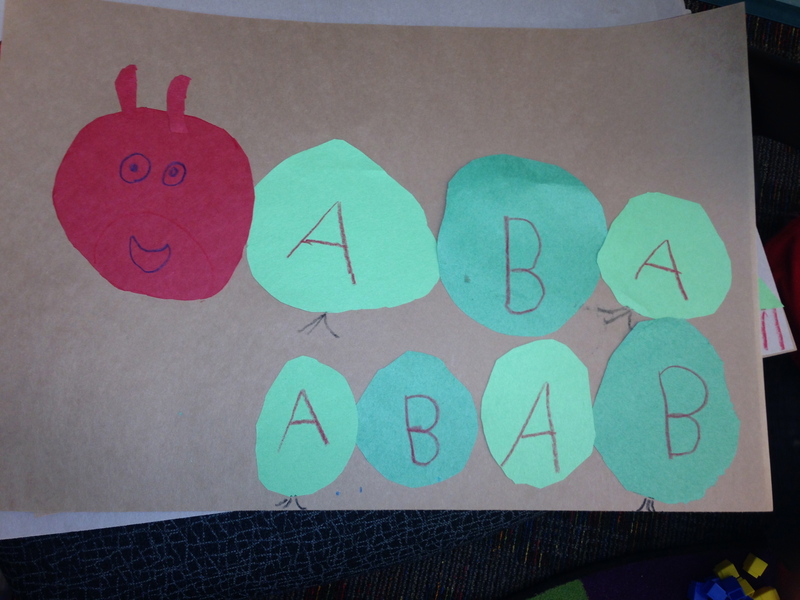 As a whole class we read The Very Hungry Caterpillar and made patterns of our choosing.